I love wine. Lars only drinks it in case it tastes like lemonade like Moscatel or Gewürztraminer and “wines” like this. Now we asked ourself what to use the Vitamix for after our asparagus soup. Because this is not a usual blender but has a lit more power. Smoothies are kind of old school already and kind of boring as a recipe as well. Don’t get us wrong, we make smoothies all the time but we think it is not worth putting in another recipe. Since we already started talking about smoothies, the Vitamix has a smoothie-function. Just put everything in and choose smoothie. In a few seconds you have the perfect smoothie. Of course, you can also prepare it manually. Just wanted you to know that it got that option. Well, smoothies are not an option but what to do with our super-powered blender? We know that you can make crushed ice out of ice cubes and so we thought of shushed ice. 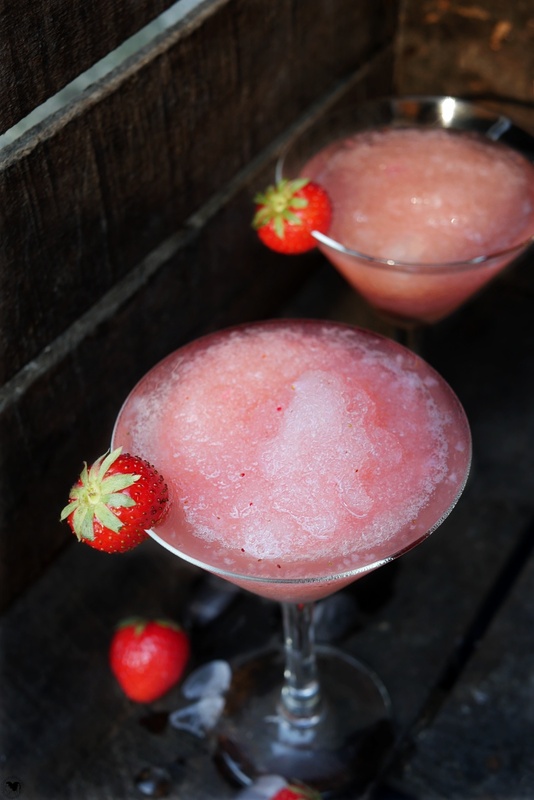 But in fact, I saw some of these frosé videos on facebook and remembered them. So I thought, well frozen and rosé? Gotta be awesome, right? It is like slush with wine. It is more than perfect since we do really have a summer here in the middle of Germany. Usually it is like warm for 3-5 days and now it’s been more than a few weeks and so we really need some cool drinks. No one really expected this kind of summer here and you don’t even need to go somewhere for your summer holiday (ok, we still went to Italy, but you don’t really have to). 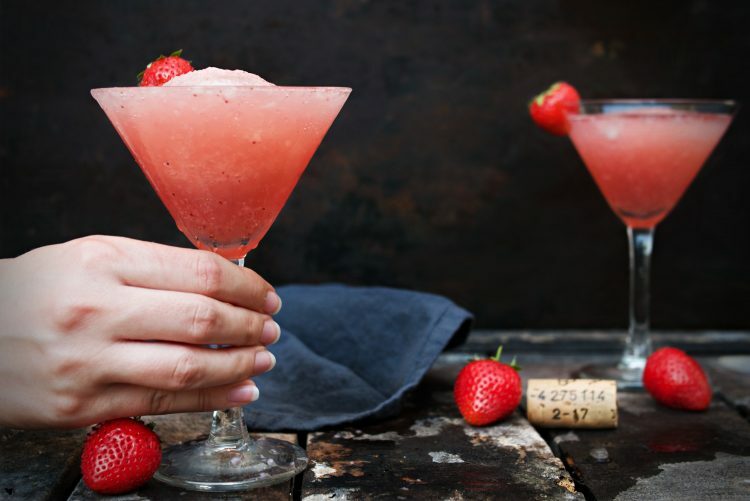 Frosé is the perfect drink. It is frozen in the beginning an leaves you some time to drink ist. Of course, it defrosts and if you wait too long, you might end up with a cold glas of wine 😉 but still, there are worse things. Usually I am the red wine type of girl but concerning these temperatures, where you even have to cool red wine, I even prefer white and rosé. In fact at 35°C there is no way to drink anything that isn’t frozen or at least cooled. For crushing Ice cubes you really need a good blender. No one likes to bit onto pieces of ice. The blender we had before was just not able to do that properly. 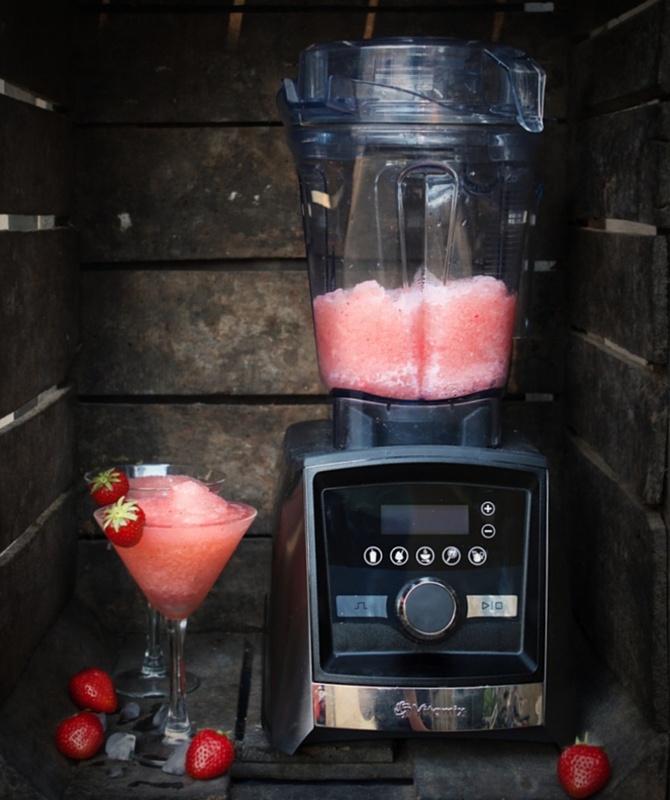 We already made so many things with the Vitamix, but the frosé is my favourite and we had it already a few times now, well I did. It is best to freeze the Rosé an evening before you wanna serve it in a plastic bag or something, just not the bottle (doesn’t make sense :D) In fact, I prepare it then a few hours before serving so that I can put it back in the freezer again and take it out a few minutes before I wanna drink or serve it. It always depends on how cold your freezer is but I would recommend to wait around one hour. First of all you should put the wine in a freezer bag and freeze it. It works way faster like this but in fact you need at least 6 hours. I use to put it in the freezer the evening before. In the meantime, bring the water to boil and add the sugar. Let it dissolve and put the strawberries in (cut in quarters). Take it off the heat and let it sit for 30 minutes and sieve it. Or you just take Strawberry-siyrup. 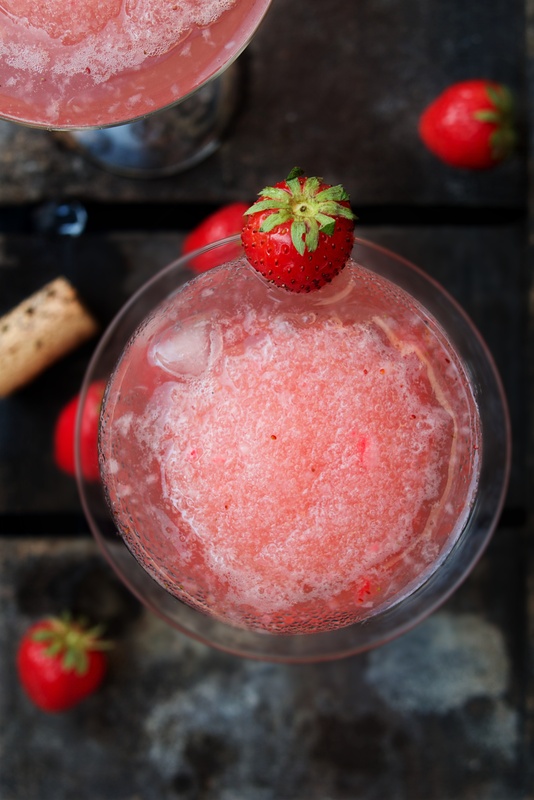 As soon as the wine is frozen (to the most part due to the alcohol in it), put it in a blender. Add some syrup, lemon juice, strawberries and ice cubes. Blend it 15 seconds at 1 and freeze it again. This shall take around an hour. It depends on how cold your freezer is. Put it back in the blender once again and serve it.